NHAI Recruitment 2019 (APRIL) :- National Highways Authority of India (NHAI) has published latest job notification in April 2019.National Highways Authority of India (NHAI) invites applications for Manager and Account officer posts. In this section we will discuss in details about NHAI Recruitment Examination 2019 with educational qualification,salary all other details. 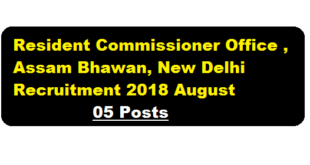 Applications are invited from intending and eligible candidates, who are citizens of India as defined in the Articles 5 to 8 of the Constitution of India in prescribed Standard Form of Application given in Part-IX of the Assam Gazette for filling up Chowkidar and Room Bearer vacancies in the office of the Resident Commissioner, Government of Assam, Assam Bhawan, No. 1 Sardar Patel Marg, Chanakyapuri, New Delhi. 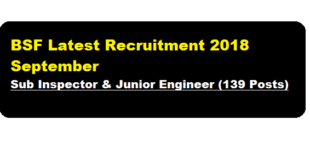 We have mentioned detailed info regarding the recruitment in the following section.